A Pear cut Diamond surrounded by a Halo of Round Brilliant cut Diamonds placed on a plain yellow gold band. A Pear Cut Diamond Ring is a great option for the lady who wants something a little different. This Pear Shape Engagement Ring has a Halo of Round brilliant cut Diamonds surrounding the large pear cut diamond. 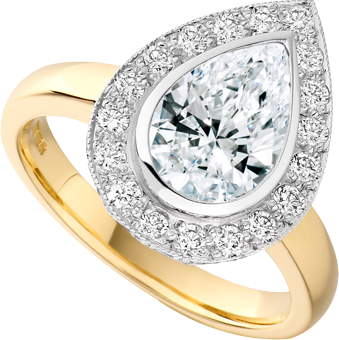 The Pear cut Diamond and Halo are set in white gold and placed on to a plain yellow gold band. This Pear Cut Diamond Ring with plain yellow gold shoulders has been made to accommodate a traditional shape wedding ring. 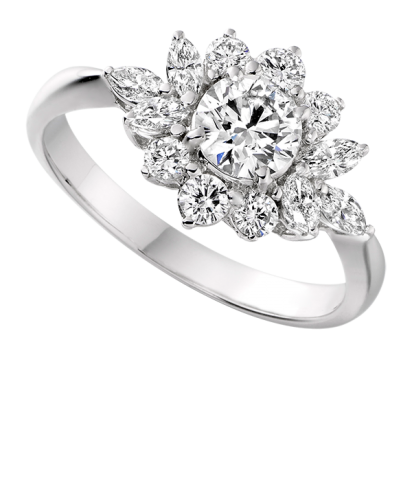 The pear cut diamond is bezel set which means that there are no claws on the centre diamond. This means that the circumference of the pear cut diamond is surrounded by white gold. The halo of diamonds surrounding the pear cut diamond has a lovely mill grain or beaded edge. Diamonds can be added to the shoulders of this pear shape engagement ring should the lady want more sparkle! 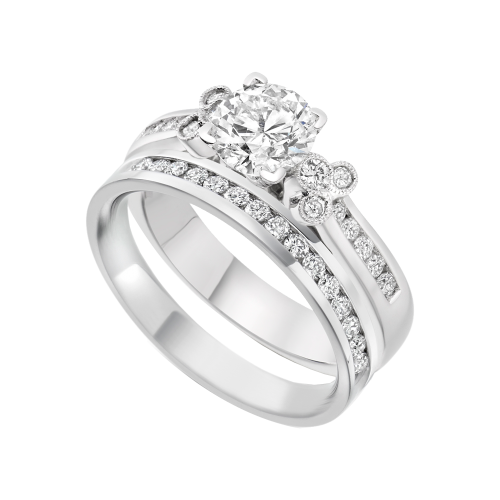 There are many styles of pear shape engagement rings available. 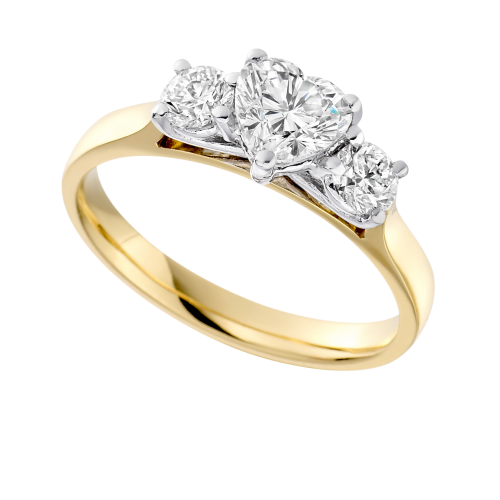 At D & K The Jewellers the engagement rings you can create are limitless.